I think this might be the earliest that I have had the Christmas Tree up and decorated…..EVER! I had to put decorating into overdrive to get it done before Cassi leaves for Florida. That’s right, the princess is off on another adventure…..
She will be going to college with one of her friends that she met in Belgium last year. It’s kind of crazy how much alike those two are…..very adventurous and determined!! I am very excited for her to start the next chapter in her life, I just wish it wasn’t going to be quite so far away! 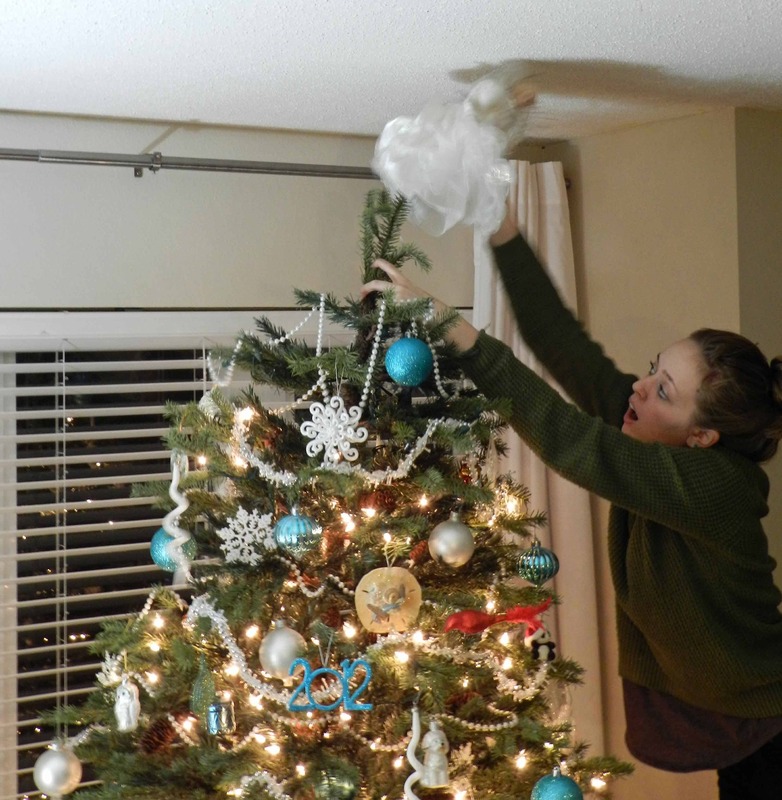 At least she had the honor of placing the angel on the tree one last time….. I did manage to get Alex back last week for ThanksChristmas dinner. We are not huge turkey lovers around here, so Cassi made the suggestion to have our traditional Christmas dinner on Thanksgiving. 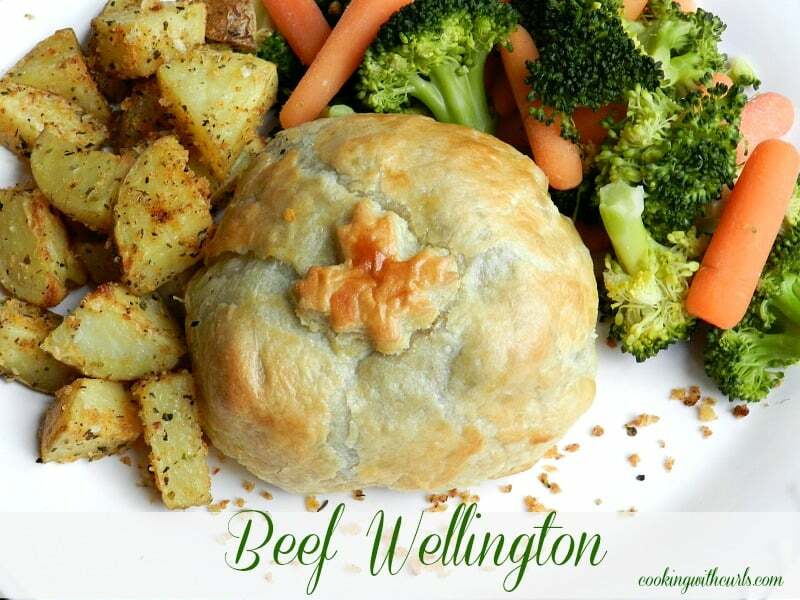 Beef Wellington is one of her absolute favorite meals!! I make the same exact meal every year…..until this year. Cassi didn’t realize that the roast potatoes were from a can, in fact she didn’t know that you could buy potatoes in a can! 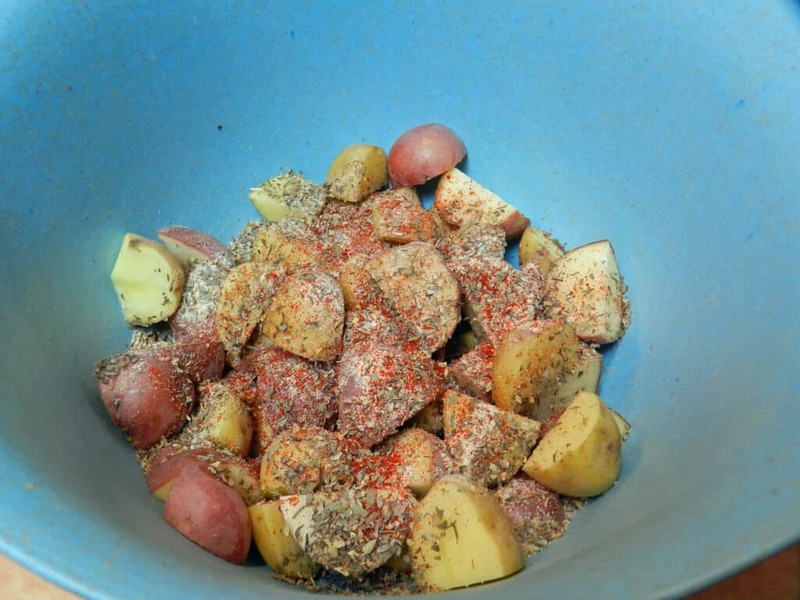 So time for a new tradition, Crispy Herb Roasted Potatoes….. I have made several versions of these potatoes in the past year, and I love each and every one! Much better than the traditional roast potatoes that I grew up with. Crispy and crunchy on the outside, soft and delicious on the inside. 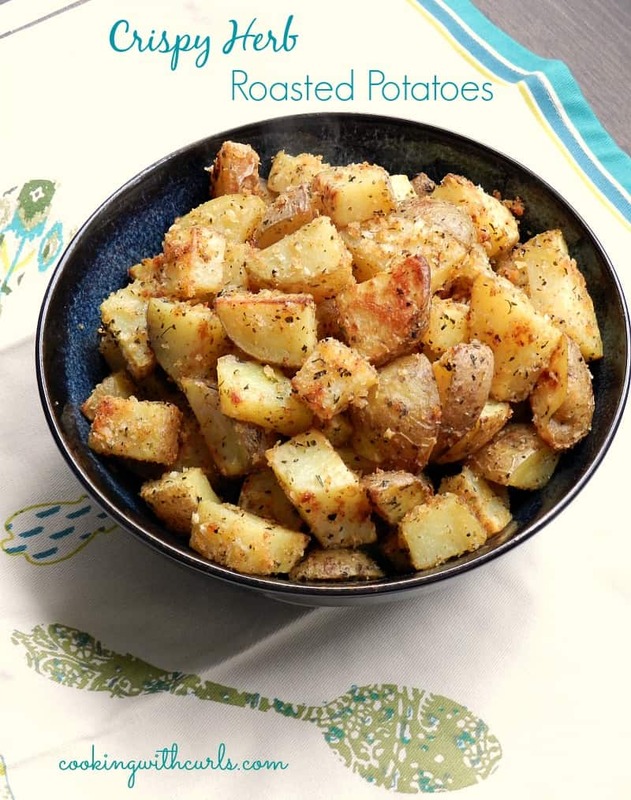 They are the perfect side dish, they go with everything! The kid’s also have their own ornaments representing something special that they did or accomplished that year. Do I keep the kid’s ornaments and continue to put them up every year, or do they kids take their own ornaments with them and put them on their tree? This whole empty nest thing is new territory for me. Are there rules in place that I have never heard of? Life may be a challenge, but these potatoes are definitely not. Enjoy! These Crispy Herb Roasted Potatoes are crispy and delicious on the outside, and soft on the inside. 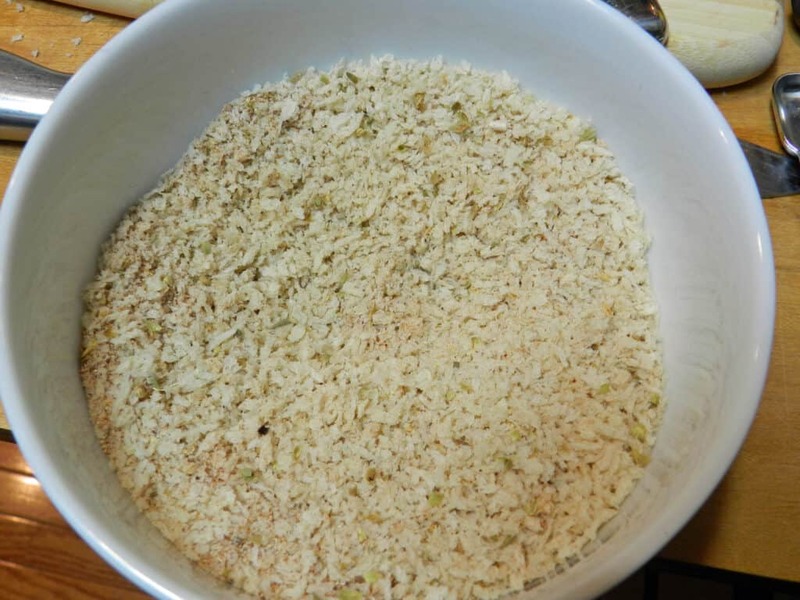 Mix all dry ingredients together in a small bowl. Set aside. 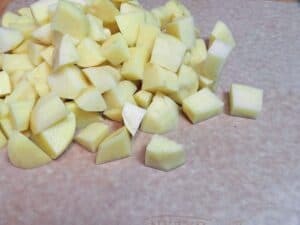 Slice potatoes in half, then slice into quarters. Place in a large bowl. (Do not peel the potatoes). Add the olive oil and toss together to coat. Add the panko/spice mixture and toss to evenly coat potatoes. 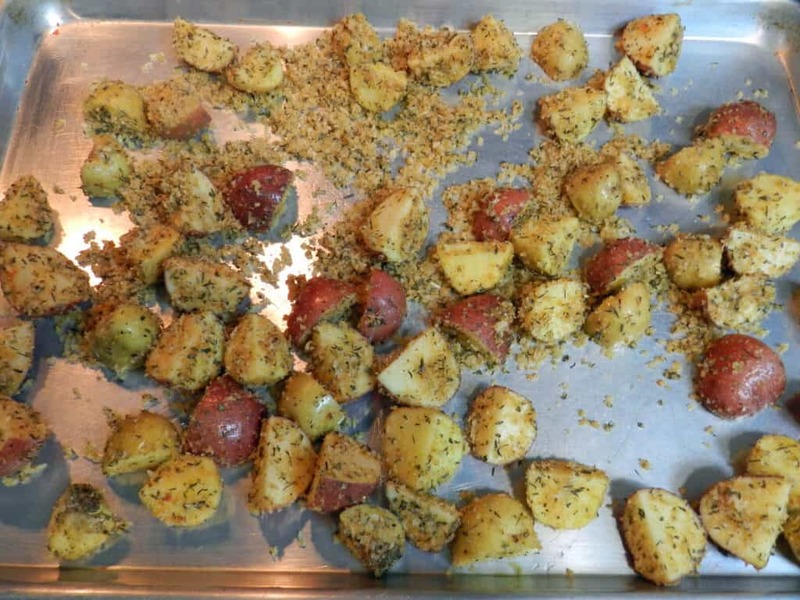 Pour potatoes onto a large baking sheet. Bake for 30 minutes, or until potatoes are soft inside and crispy outside. 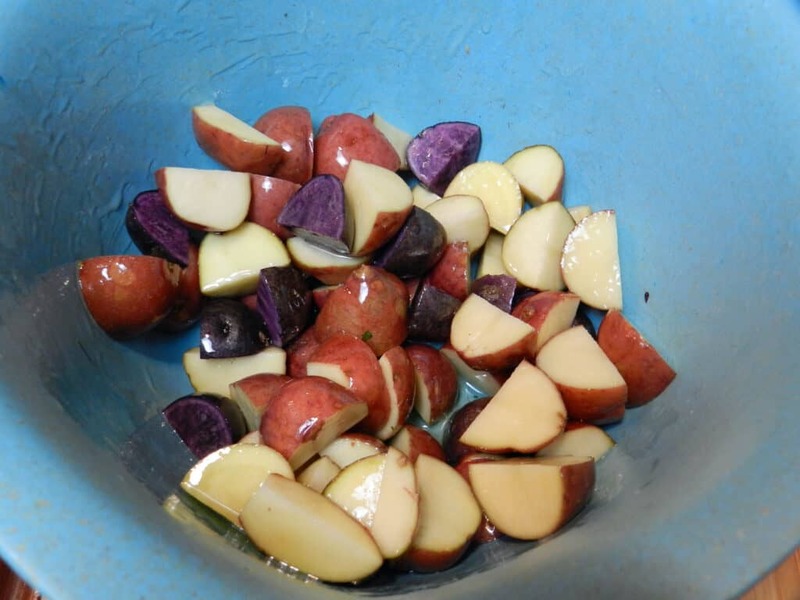 You can use yukon gold, red bliss, or any combination of small yellow fleshed potatoes. 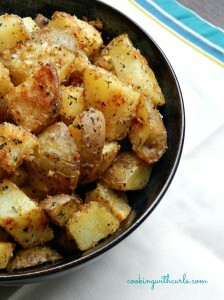 OMGosh those potatoes just made my mouth WATER. And and Rob my Dad would LOVE them. My idea for the ornaments is keep all you can, give the kids all they want and if there are any you just need to get rid of try and find a family that’s had recent house fire or similar loss and pass them on. This was our first Christmas after our fire and we had a hodge podge tree of donated ornaments and it meant the world to us. Just an idea. I have no ideas or answers for those ornaments. If it were me, I’d be like you and not know what to do. Maybe keep them and pass them along to your daughter when she has her own home??? Now about those potatoes. I have a half sack of potatoes left over from Thanksgiving and I will use some of them to try this recipe. I’ve never roasted potatoes with panko and look forward to that, plus the spices sound perfect. Thanks for the recipe. Love that little Beef Wellington, what a great dinner. I found a great panini recipe you’d pinned, and wanted to let you know – I just started a new group board, Paninis, Anyone? I’d like to invite you to share great panini recipes but the only way I know to send the invite is via email. If you’re interested please leave a comment with your email address on one of the posts on that board. Oh – and MERRY CHRISTMAS! All sounds like fun! Always sad to see them go, doesn’t it? My oldest lives only 45 minutes away from me. He used to live 10 hours away …so sad! So much better when they are closer…now if I can get him to just live right next door to his mommy, I’ll be happy! Loving these potatoes, by the way, Lisa! I love any kind of potato. I’ll be using this the next time I make a roast. I think these will be perfect. I’m stopping by from Marvelous Monday link up & I’m a new follower through Bloglovin. We eat a lot of potatoes in our house. I’ve made them in the oven a couple of times but am always excited to try a new recipe. These look fantastic! I’m pinning these and hope to try them during the Christmas break when the kids are out of school. Now these are my kind of potatoes, Lisa! YUM! Thanks for sharing these rad potatoes at MM. Pinned! Have a great remainder of the week! I have always bought my kids an ornament every year since they were born, and Santa brought all of their other presents. The kids know that I pick out ones that reflect who I see them as, and they know that when they move out and have a home of their own that they will have enough ornaments for their first tree. My oldest is 25 (and back home from being laid off his job) and the youngest is 14 (I have 6! ), but they still love getting them and talk about what they are going to get this year!